BP48V48RT4U shallow-depth rackmount external battery pack offers extended battery runtime when used in conjunction with compatible Tripp Lite UPS systems. 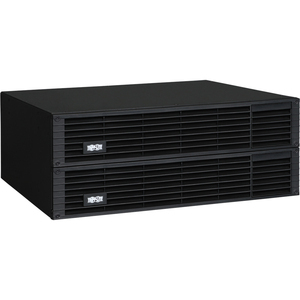 Supports configuration in rackmount applications using only 4 rack spaces (4U). Includes heavy gauge cabling with high current DC connector for simple installation. Additional output connector allows multiple BP48V48RT4U battery packs to be daisy-chained to the UPS for even longer extended run operation. Includes hardware for 2-post rackmount installation.